Last year we provided 48 scholarships for secondary education at boarding and day schools for orphans and impoverished children who could not otherwise afford a secondary education. This compares with 35 scholarships the previous year. The children secure places at their chosen secondary school and Watoto Trust pays the fees directly to the school. Boarding school fees are in the regions of £600 a year and day school fees around £150 a year. There are 20 girls and 28 boys on our books. We interview children at the start of each year taking into consideration many criteria, including background, personality and ability. We talk to each child every holiday looking at the school report and providing funding for the next term. We try and encourage financial input from the families but if necessary provide other support including books, uniform, trips and toiletries. Secondary education is for 4 years and we take on new children as the older ones leave. We provide full living expenses, including during the holidays, for some children. Miriam, Joyce and Grace are Lucy’s orphans who are being looked after by their grandmother in the community. The 70-year-old grandmother hardly has enough to feed herself so Watoto Trust has taken on the financial commitment of educating and caring for the children. 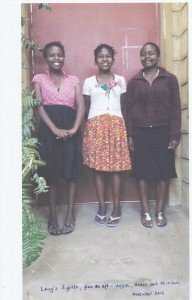 Miriam attends Njoro Girls High, Grace goes to Mama Ngina Kenyatta High and Joyce goes to Naivasha Girls Secondary School. Phanice and Judy continue to thrive and come near the top of their year groups. Moses lives near Kibwesi and attends Ngumo Secondary School where he is in his last year. 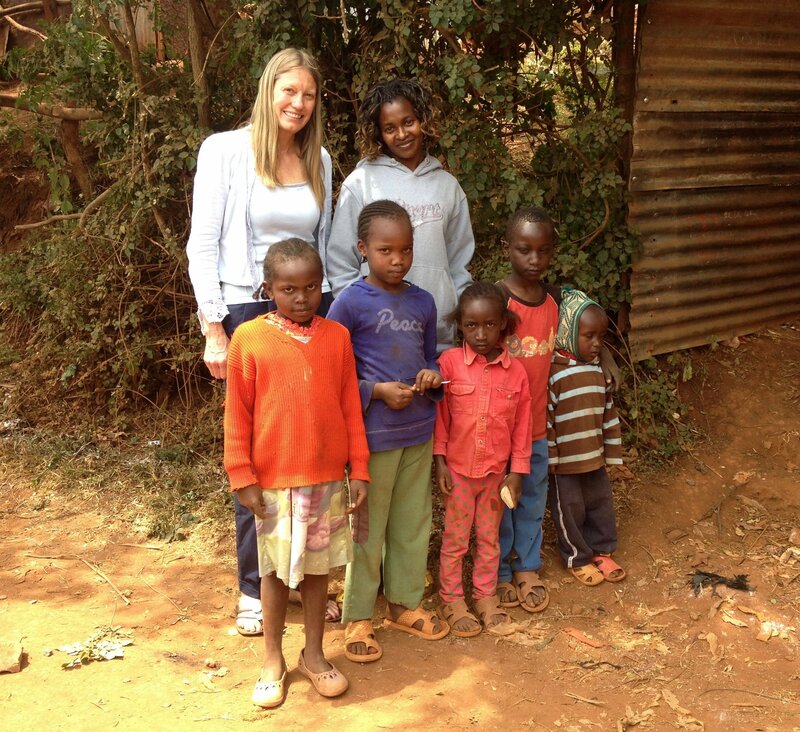 BETA Day nursery is a small nursery school in the slums of Dagoretti near Nairobi. There are 35 children between 6 months and 6 years of age some who can afford minimal fees others who pay nothing. Hannah Njoroge who set up the nursery is amazingly innovative, educating these children to a high standard with minimal resources. 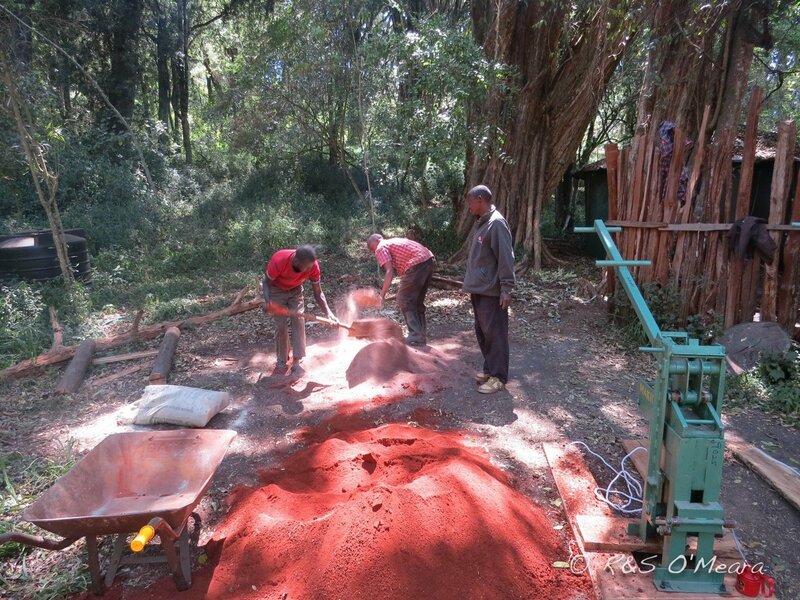 Watoto Trust has built some play-ground equipment and provides funds to give the children a hot lunch every day. 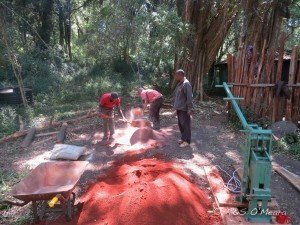 The Makiga Brick maker is a machine that makes interlocking building bricks from mud. We have bought two, a curved and a straight brick maker. They are being used in a remote Masai area where the Masai are being forced to adapt their traditional nomadic life style to a more settled one. The bricks are made of a sustainable and traditional building material but are longer lasting and they can be sold as a form of income generation.